Great for use with 12"x18" Signs and 18"x24" Signs when you want the sign lower to the ground. Be sure that you have ordered your signs with VERTICAL FLUTES! 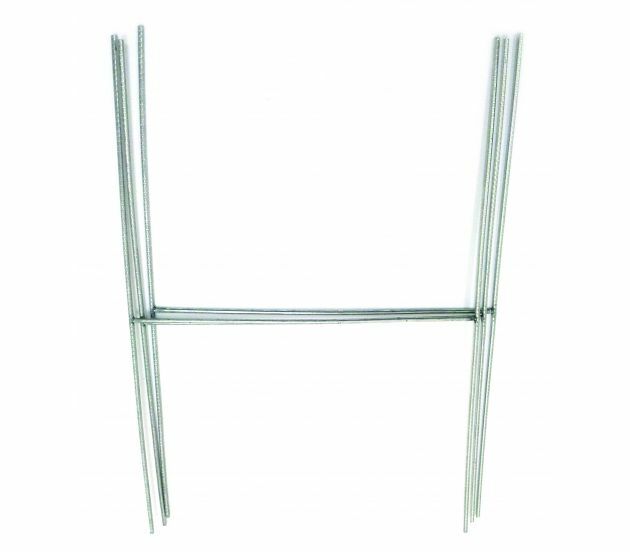 Please note that our 15in wire H-Stakes includes 1 pieces per one quantity order. 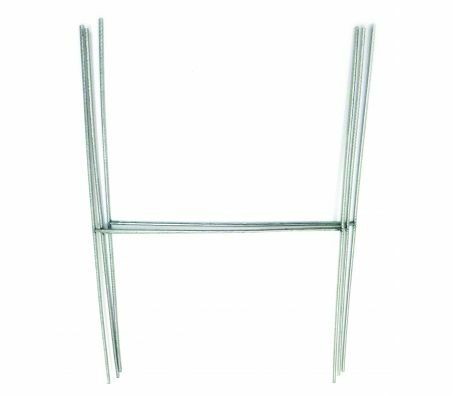 Wire H-Stakes : 15" x 10"
Orders BEFORE 12:00 pm (PST) will get printed the same day and shipped on the Same or Next Day. Orders AFTER 12:00 pm (PST) will get printed the next day and shipped on the following day. If a file is uploaded on a business day BEFORE 12 noon PST, then the order will be available for pick-up on the following business day after 4:00 p.m. PST. (If there is a problem with the file, it won't be ready for pick-up the next day.) You will receive an email notification if the order is ready earlier. Store Pick-up: If an order is uploaded on a business day BEFORE 12 noon PST, then it will be available for pick-up on the same day after 4:00 p.m. PST. (If there is a problem with the file, it won't be ready for pick-up the same day.) You will receive an email notification if the order is ready earlier. If a file is uploaded on a business day BEFORE 12 noon PST, then the order will be shipped on the following business day. (If there is a problem with the file, it won't be shipped the next day.If you plan on using UPS Ground as the turnaround option, a map below explains how long it will reach its destination. Please note that shipping is unavailable on Saturday and Sunday and will get shipped on Monday (excluding holidays). Due to the large physical size of products some orders may have higher than expected shipping charges. Unfortunately there is little of what we can do as we are bound by the limitations set forth by our shipper, in this case UPS. For multiple orders, please give us a call and ask us about our BULK SHIPPING DISCOUNT! All Products - $10 min.